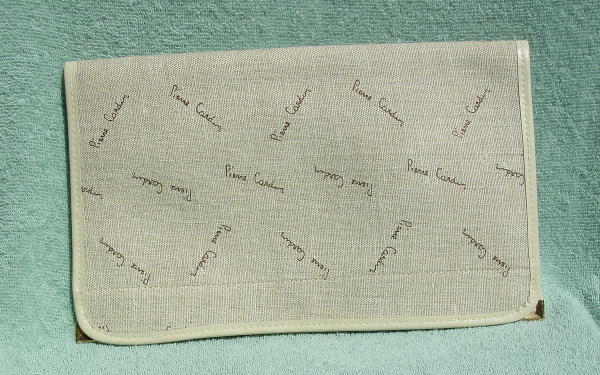 This vintage beige textured fabric large clutch has Pierre Cardin written in dark brown all over. the front and back. It has a snap closure and a bone-beige lining. There is bone trim and the base has 2 small gold-tone L's at the corners. It's a simple yet classic design. A Czech model used it for 2 seasons in Europe. She put her initials on the inside flap, and she scratched them out when she sold the purse.